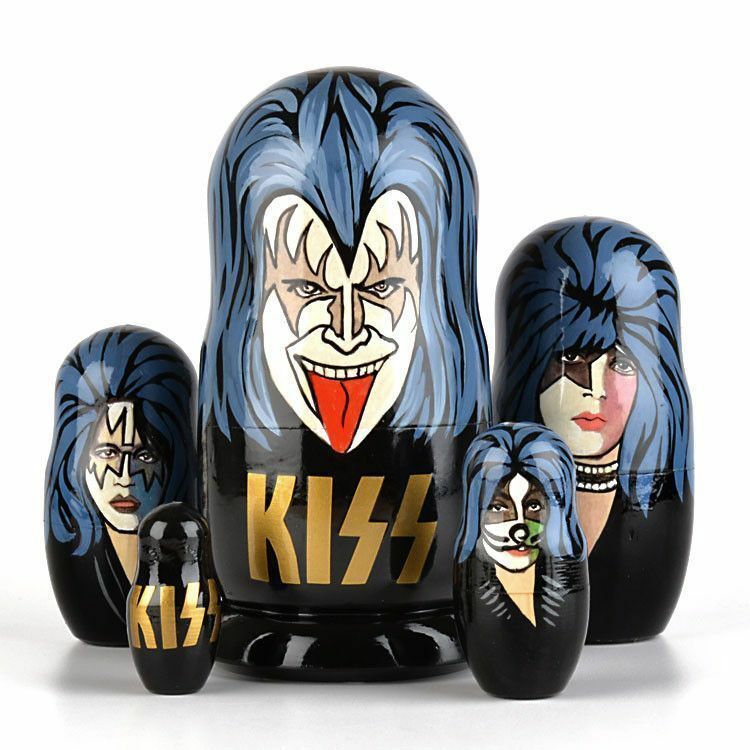 Rock n Roll all night, with these Russian hand-crafted nesting dolls featuring the members of KISS. 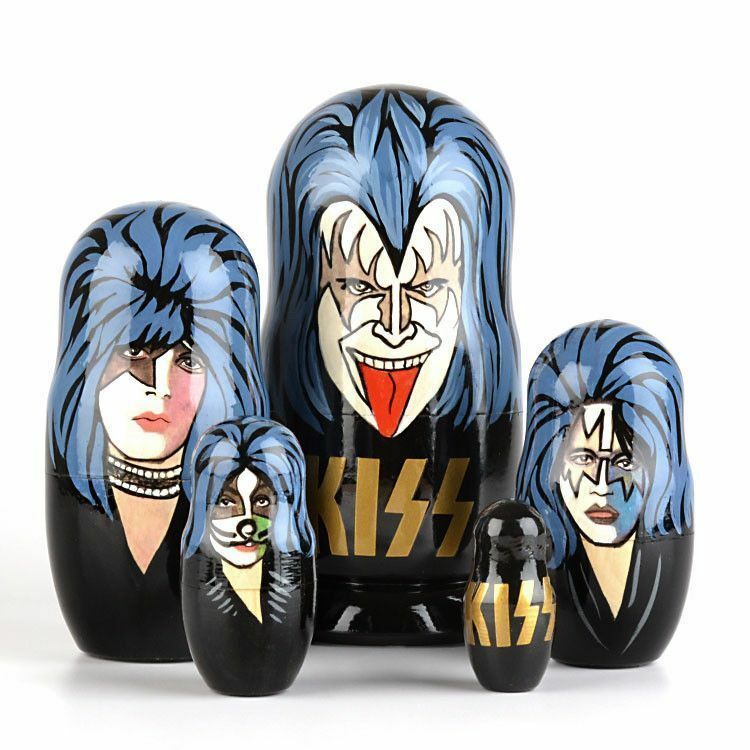 Gene Simmons's famous tongue, Paul Stanley's star makeup, and Peter Criss's whiskers are all depicted on these stunning glossy dolls. 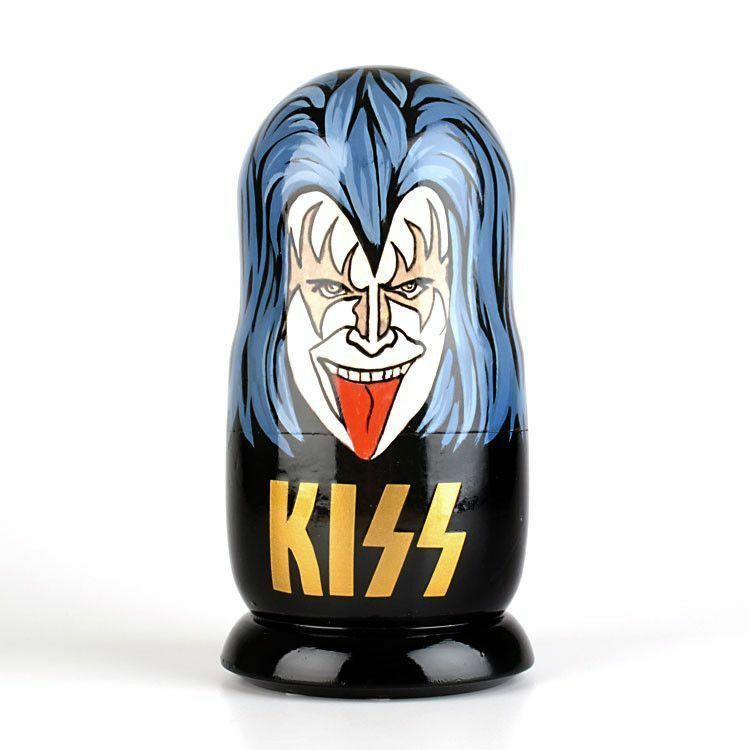 Certainly a unique gift for a rock music fan. 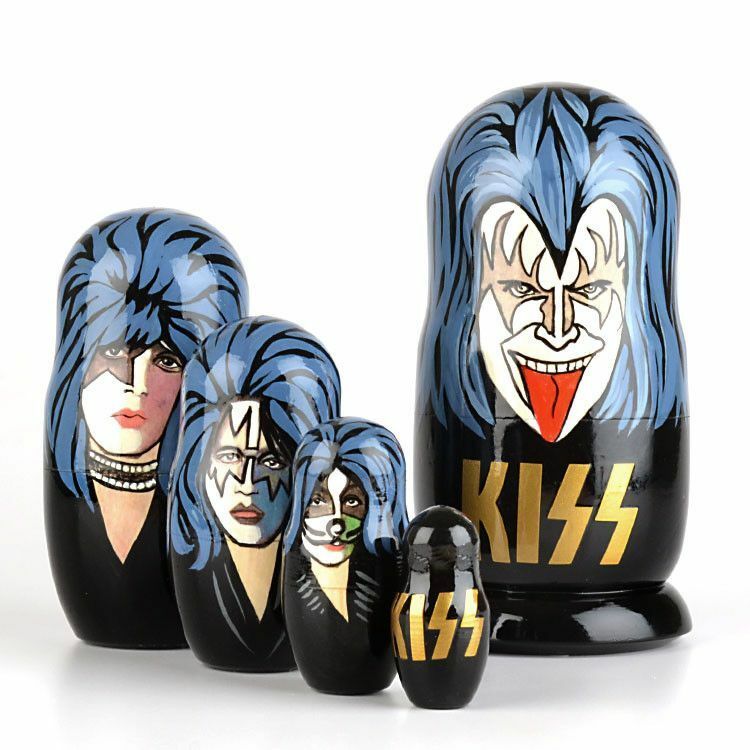 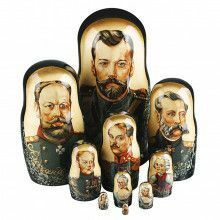 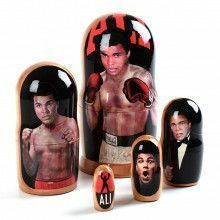 Because each doll is hand-made, every Kiss Nesting Doll has its own uniqueness and may vary slightly from the one designed and pictured here.